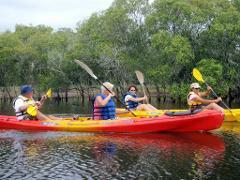 Explore the beautiful waterways of Cudgen Creek on this relaxing 90-minute paddle through pristine wetlands and mangroves, renowned for their abundant bird and marine life. 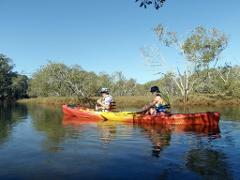 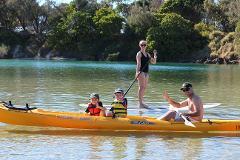 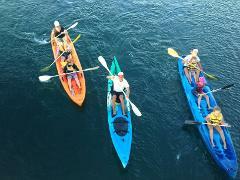 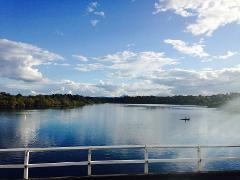 This unique Tweed Coast experience takes you on a half-day exploration of a nationally significant wetland and bird habitat, paddling 9kms along the tranquil waters of Cudgen Creek from Cabarita to Kingscliff. 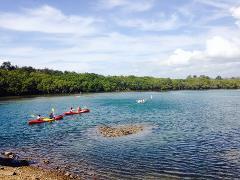 The tranquil clear water of Cudgen Creek is the perfect place to enjoy kayaking and the Watersports Gurus can set you up with the best gear from their Red Tent HQ near Kingscliff Bridge.